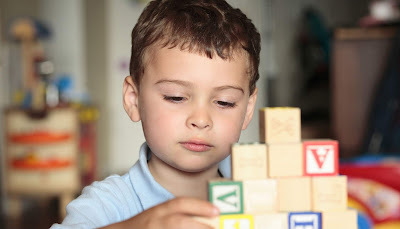 Autism Spectrum Disorder (ASD) is a neurodevelopmental disorder characterized by two core-defining features: impairments in (a) social communication and (b) restricted and repetitive behaviors or interests (American Psychiatric Association [APA], 2013). Social-communication deficits include difficulties making affective (emotional) contact with others. This includes deficits in nonverbal communicative behaviors used for social interaction which range from poorly integrated- verbal and nonverbal communication, through abnormalities in eye contact and body-language, or deficits in understanding and use of nonverbal communication, to a lack of facial expression or gestures. Many individuals on the autism spectrum have a “flat affect” or reduced facial display. “Flat affect” is a term used to describe a lack of emotional reactivity. With a flat affect, expressive gestures are minimal, and there is little animation in facial expression or vocal inflection. Facial expressions are a form of non-verbal communication essential to interpersonal relationships. An inability to read facial and social cues makes “connecting” to others very difficult. Likewise, reduced expres­sivity may impede social discourse or provoke negative initial reactions to the person with ASD. A study published in the journal Autism examined the impact of facial expressivity on first impression formation and found that typically developing children formed their impressions of peers with ASD in as little as 30 seconds. Videos of children with ASD were initially rated for facial expressivity by adults who were unaware of the condition. Researchers further investigated the friendship ratings given by 44 typically developing children to the same videos. The children making friendship judgments were also unaware that they were rating chil­dren with ASD. These ratings were compared to friendship ratings given to video clips of typically developing children. Adult participants rated children with ASD as being less expressive than typically developing children. The 44 child participants also rated peers with ASD lower than typically developing children on all aspects of friendship measures. Children with ASD were rated not as trustworthy as the typically-developing children in the films. Moreover, study participants were less likely to say that they wanted to play with or be friends with the video subjects on the spectrum. These results suggest that impression formation is less positive towards children with ASD than towards typically developing children even when exposure time is brief. The findings of this study have important implications for intervention. First impressions make a difference: whether you are looking at facial expressions, gestures, or just general appearance, people are quick to form judgments about others. Children with ASD experience more peer rejection and have fewer friendships than their typically developing peers. Limited facial expres­sivity may further remove children with ASD from meaningful interactions and reciprocal emotional related­ness with others. Negative peer responses can be especially upsetting for more socially aware children with ASD who may be strive but fail to form friendships. Further, distress often increases as children approach adolescence and the social milieu becomes more complex. Social relationship skills are critical to successful social, emotional, and cognitive development and to long-term outcomes for all students. An increase in the quality of social relationships can have a major influence on the social and academic development of both typically developing children and those with ASD. Consequently, intervention needs to be focused on both groups in poten­tial interactions rather than solely on the child with ASD. This includes strategies designed to promote skill acquisition in building social relationships such as direct instruction, modeling, role-play, structured activities, social stories, formal social groups, pivotal response teaching, self-monitoring, and coaching. Students in general education could help the process of cohesion by serving as prosocial role models for students with ASD. Teachers may also provide reinforcement for prosocial behavior or assign students in general education to work with students with ASD in small groups on class projects together to promote positive interaction. Schools should make a dedicated effort to educate typically developing children about autism and associated symptoms. Educating children and increasing awareness will hopefully encourage a more thoughtful first impression formation process. Teaching social skills can have both preventive and remedial effects that can help reduce the risk for negative outcomes not only for children on the autism spectrum, but also for all children.